Concordian International School operates from a high-tech, completely wireless internet capable (Aruba system), purpose built facility. The school has been designed to give each division its own areas and buildings within the campus, while also allowing them access to shared facilities. 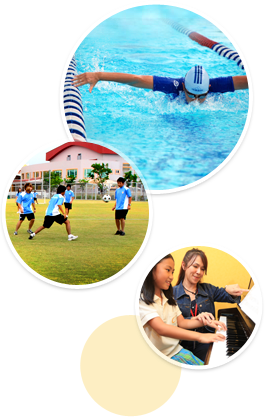 Concordian is proud to provide outstanding facilities for all students from Nursery all the way up to Grade 12! Large Kitchen facilities for student use with 8 fully equipped stations, large room for Food Technology needs!